Forty-five years ago today (July 20), humanity took a giant leap from its birthplace onto the surface of another world. 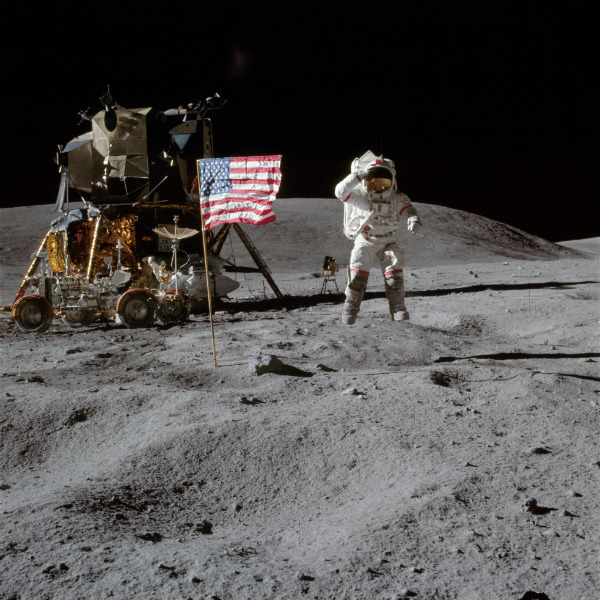 On July 20, 1969, Neil Armstrong clambered down the ladder of the Apollo 11 lunar lander and pressed his boot into the moon’s gray dirt… a simple if clunky step, witnessed by billions from afar, that stands as perhaps the most memorable moment in all of human history. While sorting and packing for my upcoming move, we found some NASA Apollo mission prints/photos given to my grandfather who apparently worked on the programs. Cutest Pet and Animal Vines – Part Three of The Greatest Compilation of cats, dogs and animals!